Volunteers for the Luzerne County Animal Response Team are critical in helping our county in a time of disaster or emergency and equally important in educating the general public about including their animals as a part of their disaster preparations. Over 63% of households across the US have at least one pet. When disaster strikes who will protect and care for them? The Luzerne County Animal Response Team provides emergency shelter and rescue to animals in times of disaster, both natural and man-made. 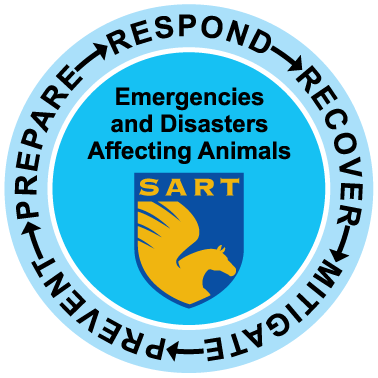 The Pennsylvania State Animal Response Team (PASART) hereby establishes the following policy as it relates to the enrollment of volunteers in PASART and County Animal Response Teams (CARTS). As a non-profit volunteer based organization, the Pennsylvania State Animal Response Team (PASART) is dependent upon volunteers from the general public to provide the human resources that will make up the County based response teams providing assistance to county emergency management officials. Accordingly, it is appropriate to establish a policy that governs the enrollment of volunteers. Specifically, it shall be the policy of PASART that individuals may volunteer to be members of PASART and CARTS if they are at least eighteen (18) years of age OR they are at least sixteen (16) years of age and have submitted a formal written consent from a parent or legal guardian. Any volunteers under the age of eighteen (18) must be in compliance with any state and federal regulations regarding the use of minors as volunteers. These 3 FEMA course can be taken at your own pace. You read some online content and answer some questions. 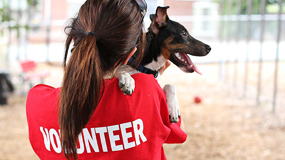 The 2-day sheltering training is usually provided by the American Humane Society and consists of how to setup a shelter. This 2-day training is invaluable. Think of it like a seminar, there are no tests just some basic table-top exercises. This required training is given by SART coordinator (Joel Hersh) or a qualified CART coordinator. The PASART Orientation traces the beginning of the program while providing a succinct description of program mission, goals, and objectives. It also describes training required of volunteers while also providing a framework for response activities. Training session is 1-2 hours. Please fill out this form below to become a PASART Volunteer.